Towering lighted trees, enormous gift boxes and gigantic glittering balls just to name a few – Christmas is a season when things take a bigger form. Sony is not to be left behind as it unwraps a larger-than-life Internet TV experience with the Sony BRAVIA KDL-65HX925 boasting of an impressive 65-inch screen, making it the largest Internet TV in the market to date. Staying in and being a couch potato when taking a break from all the celebrations this holiday need not to be boring and uneventful with the BRAVIA KDL-65HX925. 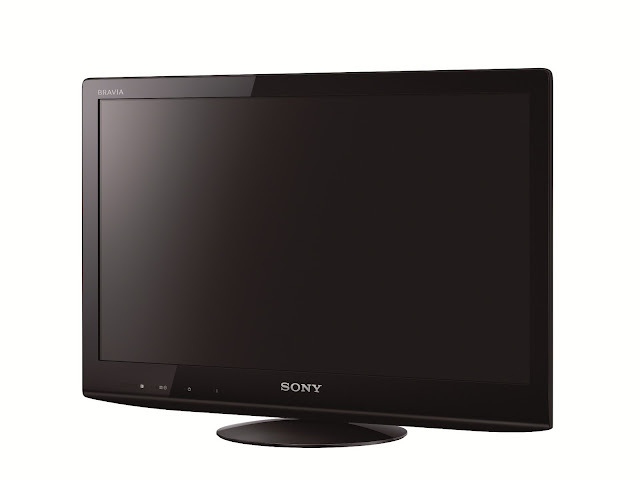 This landmark in Internet TV technology features brilliant HD (1080p) picture quality owing to Sony’s Intelligent Peak LED backlight for a TV-watching and TV-surfing experience defined with perfect contrast. The models are also equipped with Sony’s MotionFlow XR960, which features a precise backlight control synchronized with the liquid crystal movement from frame to frame, producing clearer and sharper moving images. True to the connectivity superiority of the BRAVIA Internet TV Series, the KDL-65HX925 allow a seamless fusion of TV-watching and Internet surfing. A connection to either a home broadband network via Wi-Fi or Ethernet opens a portal to free and premium movies, video and music services through the BRAVIA Internet Video platform, including YouTube, Video Detective, Daily Motion and Style.com. The BRAVIA KDL-65HX925 also bridges the gap between friends and loved ones this season with built-in Skype ™ feature. Using a Sony camera and microphone (CMU-BR100), you can enjoy free, widescreen Skype-to-Skype video calls to share the love far and wide to friends and relatives who cannot be with you physically this Christmas. The BRAVIA KDL-65HX925 is also packed with 3D enhancements. It features faster panel drive response time that helps reduce crosstalk, 5:5 pull down for a more realistic cinematic movie experience and built-in 3D emitters on all the 3D models. It is also equipped with the advanced X-Reality PRO Engine which optimizes high definition content, compressed HD signals, standard definition, and other sources including low resolution Internet content. It’s an intelligent technology to say the least – the X-Reality PRO Engine compares incoming signals pixel-by-pixel with ideal scenes to display vivid and detailed images. Apart from being the pinnacle in Internet TV technology in terms of size, capacity and functionality, the BRAVIA KDL-65HX925 is also a masterpiece in design. Expertly crafted with Sony’s enhanced Monolithic Design, it draws, it hooks viewers to the screen when the television is being used, but when it’s turned off, it blends into the interior of the room. The screen is made utilizes Corning®’s Gorilla® Glass making it thinner and lighter, but stronger and more durable. Unparalleled TV-watching experience, superior connectivity, the best in 3D technology – this is what the BRAVIA KDL-65HX925 is, all 65-inch of it. A sony bravia 46 is very nice when we are using it for entertaining. Awesome!